Where there is health, there is beauty. San Jose Bay Area Bioidentical Doctor, Jumnah Thanapathy, M.D. 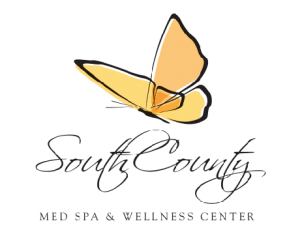 of South County Med Spa & Wellness Center is a Bioidentical Hormone Replacement Therapy specialist and provides OB/GYN and other women’s healthcare services for patients in Gilroy California. Dr. Thanapathy has been practicing medicine for over 25 years and has won numerous patient choice awards for her outstanding service and bedside manner. Jumnah Thanapathy, M.D. – San Jose Bioidentical Doctor. As an experienced and highly-respected board-certified OB-GYN who specializes in both clinical and cosmetic gynecological procedures and anti-aging treatments for both men and women, Jumnah Thanapathy, M.D. has seen how beneficial Bioidentical Hormone Replacement Therapy is for patients. It is a powerful solution that can restore hormone levels to optimal levels to increase overall health and wellness. Dr. Thanapathy believes that wellness comprises of cellular health, hormonal equilibrium, energy balance, detoxification and psycho social spiritualization. She is passionate about helping her patients maintain their vision, memory, and mobility, while looking good, feeling good, and enjoying life. Bioidentical Hormone Replacement Therapy is a fantastic way to address endocrine problems and help restore your body to normal hormone function and health. Jumnah Thanapathy, M.D. of South County Med Spa & Wellness Center provides a complete hormone evaluation and customized treatment plan to get your hormones balanced and relieve you of the symptoms that you’ve been feeling. Explore more of the amazing benefits of Bioidentical Hormone Replacement Therapy and contact your local specialist at South County Med Spa & Wellness Center in Gilroy, California to schedule your initial consultation and to find a treatment option custom tailored to your body and needs. Jumnah Thanapathy, M.D. will perform the appropriate tests to determine hormone levels and she will then design a treatment program that is tailored to suit each patient’s individual needs, lifestyle, and goals. Jumnah Thanapathy, M.D. has helped hundreds of men and women to regain vitality and optimal levels of health. For more information about how Jumnah Thanapathy, M.D.’s Bioidentical Hormone Replacement Therapy in Gliroy California can benefit your unique needs and bring you quickly to better health, call Dr. Thanapathy today for more information!